Network Visibility is the fundamental element to ensuring optimal network performance in the face of growing network complexity and data loads. Keeping a constant eye on network traffic, applications, and performance requires effective and scalable data collection, aggregation, distribution, and delivery via the visibility adaptation layer. 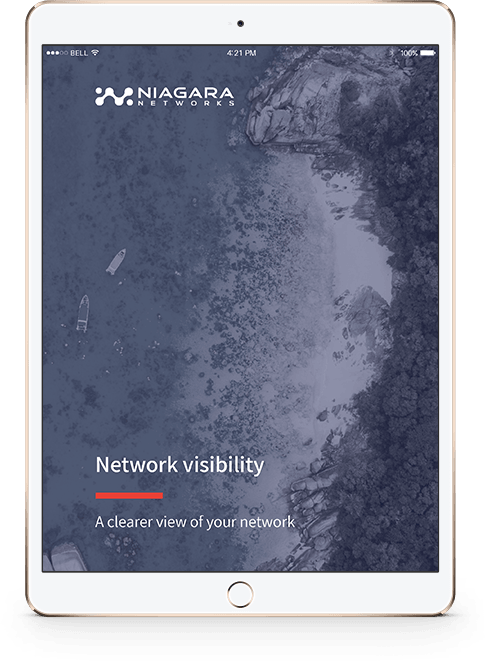 This detailed white paper provides a thorough explanation and exploration of network visibility and it's importance to your network. Understand the importance of strategically placing Network Visibility Layer devices throughout the network design to eliminate blind spots and the number of visibility gaps. Create a connected Network Visibility Layer that covers all possible network access points - both physical and virtual. Be able to fend off attempts at cyber breaches, take care of viruses and malware, and prevent data leaks. The Network Visibility Layer, which utilizes devices such as taps, bypasses, and packet brokers, is essential in fulfilling network visibility, availability, and efficiency. Network Packet Brokers are taking a critical role as network traffic throughput is increasing - by combining with other devices such as taps and bypasses, they are well suited to address the growing gap in effective application layer processing. A pervasive visibility layer not only increases the security of your network, but also holds key advantages in reducing downtime in maintenance periods, improving network service recovery time and increasing your overall ROI.